Do your dogs' ears hurt? 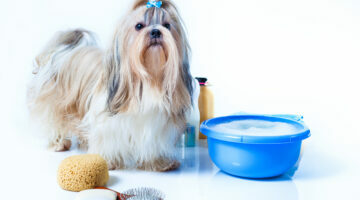 Is your dog scratching or tugging at them? Does your dog need to have his ears cleaned? Here you'll find the best ways to know if you're dog's ears are infected or if they've suffered hearing loss from loud noises. 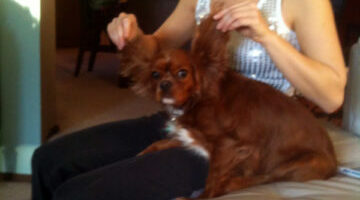 We're also sharing step-by-step instructions for cleaning your dogs' ears. Our aging dog is still in reasonably good health and not suffering from many aches and pains, but his navigational skills have been reduced to what he can smell. With doggie cataracts and acute hearing loss that has eliminated most of our ability to communicate with him, he still seems to get around the house with little trouble.